3 Bedroom Semi Detached House For Sale in Blackburn for Offers Over £125,000. 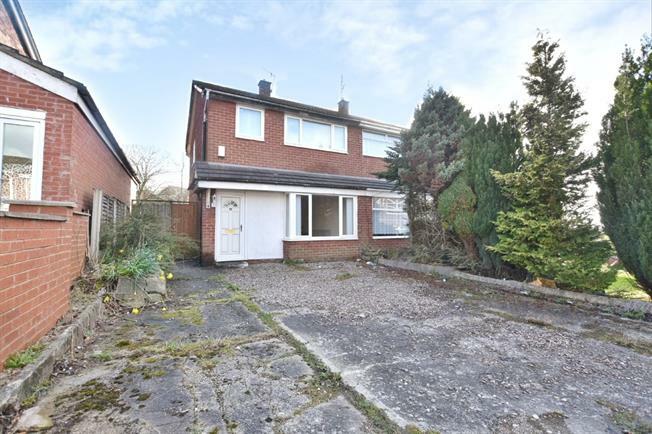 This popular three bedroom semi detached property has been recently refurbished by the current owner to an excellent standard and comprises an entrance hallway, spacious lounge at the front and a new kitchen diner with new integrated appliances and a separate utility at the rear. Upstairs there are three bedrooms and a family bathroom. The central heating system has been recently installed as well as carpets and blinds throughout and the house has double glazing throughout. There is a large multi car driveway to the front and an enclosed garden at the rear.